North Point's iBand - This is Awesome! I bought a set of Anglican prayer beads today. I had been thinking about them for months. Ever since I read Ed Dobson's book, "The Year of Living Like Jesus." But I had never gotten around to getting any. I should have just ordered them online a long time ago, because they're not exactly the kind of thing you run to Wal-Mart to get, but I was thinking about them last night and I decided that I would try to find some here locally. I found a set at the Trinity Episcopal Cathedral Bookstore. It was their last one. Now I have to decide what I'm going to do with them. I've been saying the "Jesus Prayer" for years, but not with any kind of regularity or consistency. I kind of like the idea of repeating something over and over again, until it becomes like breathing. So I decided that would be the main prayer I would say. I also like Psalm 19:14, which says "May the words of my mouth and the meditations of my heart be acceptable in your sight, O Lord, my rock and my redeemer." This was a favorite verse of a college friend of mine who died. It's also the prayer that my last pastor would pray before every sermon. So it means a lot. Finally, I'm a big fan of the Lord's Prayer, or the "Our Father," as our Catholic friends call it. So I thought it should be part of my prayer beads, too. So here's what I do: beginning by holding the cross, I say "In the name of the Father, the Son, and the Holy Spirit." Then I move on to the "invitatory bead" or the first bead. That's when I say the Lord's Prayer. Next, the first of the four "cruciform" beads, I say the Psalm. On each of the 7 beads of each "week" I say the Jesus Prayer, followed by the Psalm again at each of the cruciform beads. (Four "weeks" of 7 beads each, plus the 4 cruciform beads, plus the invitatory bead makes 33, the number of years Jesus lived.) When I get back to the invitatory bead, I say the Lord's Prayer again and I'm done. Obviously, this isn't something that I grew up doing. It's totally new to me. And maybe for that reason alone, it's been worth exploring. There's something comforting and helpful about ritual and routine, and when it comes to prayer I need that. I'm not sure if I'll do this a certain number of times each day, or just when I feel like it. It seems like three times a day would be a good thing to try. I'm also not sure if I'll keep the prayers the same, or change them. For now, I like them, so I guess they'll stay a while. Anyway, it should be helpful in some way. When I left the bookstore, the man who sold them to me said, "Happy praying!" The thing about blogging is, you never know when someone misses you. So, to the three of you who read my blog, I miss you too. I'm hoping to get back into the swing of all things blogged...but it looks like another killer semester. Here's a few quick updates. I'm finishing up a difficult 5-week summer session in which I took a 20th century music analysis class and a 17th century history class. My wife and kids miss me. I'm headed to San Antonio this weekend to participate in the long-awaited (by me) Franciscan retreat at Covenant Baptist Church (that's the church whose pastor is "Real Live Preacher" Gordon Atkinson). Elisa got to go to one in June. I'm excited about the rest and contemplation. What I thought was going to be a somewhat easier semester than the 15-hour whirlwinds that were fall and spring of last year has turned into a bit more. Here's why. My major professor was selected as the director of Schola Cantorum of Texas, a large and respected community chorus based in Fort Worth. He asked me to be his assistant director. I assumed that I would write my doctoral thesis in the spring, but as it turns out I have chosen to do a study with the UNT Men's Chorus I conduct, which means the initial data collection and study has to be set up for this fall...like in three weeks. I'm also teaching fundamentals of conducting this year, and I haven't really sat down to plan my curriculum. Anyone who thinks taking a college class is harder than teaching one has probably never taught one. Then, of course, there are the 12 hours of academic courses I'm taking plus conducting lessons and a doctoral recital. No problem. Here's the upside, though: barring a major slip-up, I'll be done in May. Degree-in-hand. Lots of my friends and colleagues finish coursework and get a job with "ABD" status (all but dissertation), which means they have to find a way to write their paper during their first year in a new job. I'll be done in May with a whole summer to recuperate before starting a job in May. Speaking of a job, no I don't have one yet. Most universities list job openings beginning around October and some as late as May & June, so next year will be a year of job-hunting as well. I'll try to keep thing updated here. I'm hoping I can recharge a bit this weekend. The other day I pulled out a (yikes!) audiocassete only to discover that it had been warped over time by heat, cold, and whatever else. My first thought was that all the sermons I preached at The Village (at least the ones we recorded) were on audiocassette in my garage. Thus, I have begun a new project: converting 4 years of sermons to digital form. For those of you who never knew me in the role of pastor/teacher, then here's a glimpse of what you missed! For those who did, here's a little trip down memory lane. As a side note, this sermon was preached 3 days before Cason entered the world! My friend Paul posted a link to this hermeneutics quiz. I scored a 71, which means I'm "progressive," but at the low end towards "moderate." Gee, I love labels! I just hope that no one tells the folks at Southwestern Baptist Theological Seminary, or they may come knocking on my door asking for their degree back! The interesting thing, though, is that I don't think my score is due to extremely recent developments in my life. I have a hunch I would have always been in the "moderate" to "progressive" category, even as a youngster in a Baptist (albeit VERY moderate) church. You are my body, my hands. I have long believed that we are the hands and feet of Jesus. We are His only means of acting in the world. If we want to see miracles, we need to get our hands dirty. But when I read stories from people like Shane Claiborne, I'm reminded that it's more complicated than that. Before we can get our hands dirty, we have to be near the dirt. And, of course, we have to see the dirt. Only then can we decide not to ignore the dirt and plunge our hands deep into it. Part of my problem isn't necessarily willingness, it's opportunity. I'm so far removed from the dirt that I don't even know where to begin to get my hands dirty. I think that's why so many white suburban Christians just go on week-long mission trips or volunteer at the soup kitchen monthly. We don't live near the poor, and we don't see any dirt. Church of the Saviour uses the phrase "being with the poor" to describe one of their fundamental pillars of faith. The idea of "being with," as opposed to "giving to" or "helping," is huge. Being with the poor means making them part of your life. Though not necessarily living with them, it means being in their midst, understanding them, finding solidarity with them, making them part of your life and faith. That's where we go wrong, in part because we are unwilling, but in part because we are all part of a system that separates the poor from the not-so-poor. If we want to be Jesus' hands, we have to go where he would go. Elisa and I recently met another couple here in Denton who were looking for some kind of community where they could wrestle with issues of emerging faith and church, and we've started meeting with them weekly to discuss Shane Claiborne's book, Irresistible Revolution. So, in the style of Church of the Saviour's Servant Leadership School, we come each week having read a few chapters of the book and few chapters of Luke, and also having prepared a written reflection to share with the others. Here is mine from the first week we met. Before I even got to chapter one, I was scared. I admit it. Simply put, the thought of a radical call to follow Jesus into the poorest and darkest places—Calcutta or the streets of Philly—scares me. It’s not that I’m afraid of losing some ultra-comfortable lifestyle, or having to give up my shiny new SUV or 50-inch plasma screen. After all, we live a pretty modest life anyway, and we try not to be super-consumers. I understand the concept of radical obedience, and could modestly say that we have been radical in our obedience to God’s call in the past. I guess what really scares me is the part about the poor. I haven’t gotten far enough into the book to know whether Shane Claiborne believes that to authentically follow Jesus we have to go live with the poor. Whether or not that is true, it raises a bigger question for me about how we read and apply Jesus teachings. I recently came across a reflection I wrote while attending classes at the Servant Leadership School in Washington, D.C. 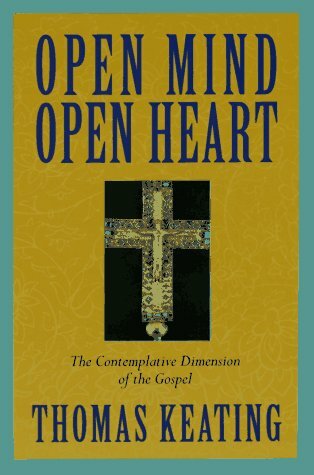 I was taking a class on centering prayer using Thomas Keating's Open Mind, Open Heart as our focus text. Each week we were to bring a written reflection to share with the class, and this was my reflection from November 5, 2002. Exactly 5 years ago. It's amazing what we forget along our journey. I'm glad I occasionally write things down and get to look back on where I've been. Never by my own strength of will or discipline will I ever move into this deeper life of prayer. That thought is terrifying. There is nothing I can do—I must wait on another to initiate this process and move me where I need to be. Although it has caused me much grief, my previous idea was nicer. It is a bit more comforting to believe that it is up to you, even if you are struggling with the discipline to make it happen. But this is complete faith. Complete trust. Complete vulnerability. Of course, there is a certain amount of discipline necessary to prepare you for God’s invitation to the deeper life, and I don’t want to discount that. Even Keating explains that we must use discipline and effort to leave behind the things of the false self. But that is where it ends. For me, I must learn some new way to grasp this truth. I fear that I will be stuck in the “self-discipline” lie for some time; at least until I learn to consent to God’s working in me. Through my paltry attempt at centering prayer, I have learned that this is much more difficult than I want it to be. Simply “showing up” as I have been told is deceptively difficult to do. I want to accelerate the process. I want to make something happen. I want to say the right words, or study the right text, or listen to the right self-help audiotape. As I look at that desire, I am convicted of how selfish it is. I want the easy way. I want the quick answer and the quick fix. But it just won’t happen. I must give God my consent, and wait.